Superhero movies won big at the 2019 Visual Effects Society Awards, which were handed out on Tuesday, February 5. Marvel Studios' Avengers: Infinity War earned the top prize of the night, scooping up the VES Award for Outstanding Visual Effects in a Photoreal Feature — the equivalent to the Academy of Motion Picture Arts and Sciences' Best Picture Award given at the annual Oscars. 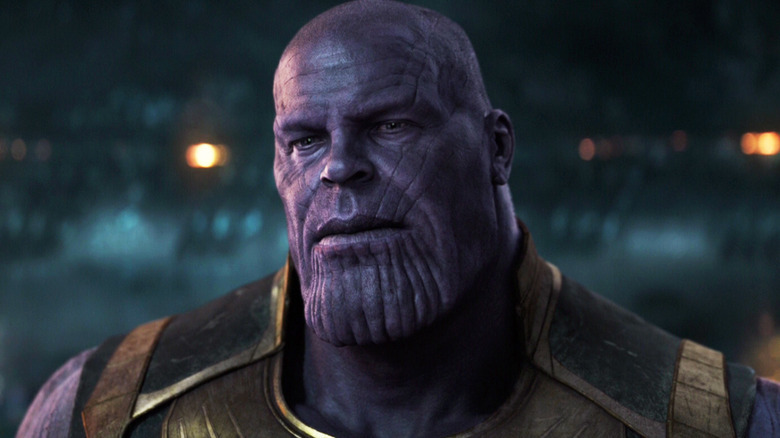 Directed by Joe and Anthony Russo, Avengers: Infinity War also scored accolades for Outstanding Animated Character in a Photoreal Feature (for Josh Brolin's purple-faced Thanos), Outstanding Effects Simulations in a Photoreal Feature, and Outstanding Compositing in a Photoreal Feature (both for Thanos' home planet of Titan, where a major battle sequence took place). Sony Pictures' dazzling animated feature Spider-Man: Into the Spider-Verse, featuring the voice of Shameik Moore as the half-black, half-Puerto-Rican Spider-Man Miles Morales, also won four VES Awards Tuesday night. The film — directed by Bob Persichetti, Peter Ramsey, and Rodney Rothman — nabbed prizes for Outstanding Visual Effects in an Animated Feature, Outstanding Animated Character in an Animated Feature (for the web-slinging teen hero Miles), Outstanding Created Environment in an Animated Feature (for the gorgeous Graphic New York City), and Outstanding Effects Simulations in an Animated Feature. Ready Player One fared well at this year's VES Awards, grabbing the honors for Outstanding Created Environment in a Photoreal Feature for the computer-generated recreation of the Overlook Hotel from The Shining and Outstanding Virtual Cinematography in a Photoreal Project for the New York Race sequence featured in the Steven Spielberg-directed adventure. Somewhat of an awards season underdog, First Man, the Damien Chazelle-helmed Neil Armstrong biopic starring Ryan Gosling as the famed astronaut, scored the award for Outstanding Supporting Visual Effects in a Photoreal Feature to round out the film winners at the 2019 VES Awards. In television, Netflix experienced the same satisfaction that Marvel and Sony did when its original series Lost in Space won four awards: Outstanding Visual Effects in a Photoreal Episode (for "Danger, Will Robinson"), Outstanding Animated Character in an Episode or Real-Time Project (for its Humanoid), Outstanding Created Environment in an Episode, Commercial, or Real-Time Project (for the Impact Area from the pilot episode), and Outstanding Compositing in a Photoreal Episode (for the Crash Site Rescue from the episode entitled "Impact"). HBO felt the love, too, as the Visual Effects Society honored Westworld co-creator Jonathan Nolan with the Visionary Award and gave Game of Thrones architects David Benioff and D.B. Weiss the Award for Creative Excellence. Chris Meledandri, the founder and CEO of Illumination, took home the organization's Lifetime Achievement Award. Infinity War and Into the Spider-Verse's wins at the 2019 VES Awards push both films higher up in the rankings for potential winners at this year's Academy Awards. The massive Marvel movie is up for the Best Visual Effects Oscar, while the Spidey-filled feature is gunning for the Best Animated Feature Oscar. With four more trophies under their belts, both pics are shaping up to be the biggest contenders in their respective categories at the 2019 Oscars. We'll have to wait until Sunday, February 24 to see if Infinity War and Into the Spider-Verse can become Oscar-winners in addition to VES Award-winners. Discover the full list of winners from the 2019 Visual Effects Society below. Lost in Space – "Danger, Will Robinson"
John Lewis – "The Boy and the Piano"